Sharing my thoughts about the things that I care about and interested in. If there is any quote that describes the late Don Rose it would be the one above. Don was proud of where he lived and his community was proud of him. A youth sports advocate for more than 40 years Don touched the lives of thousands of youth in western Loudoun, Purcellville and Virginia. During his lifetime Don coached almost 500 football games and nearly 2,000 baseball games. For more than 30 years he was a baseball coach. He was President of the Greater Loudoun Babe Ruth and District VIII Commissioner of Babe Ruth. 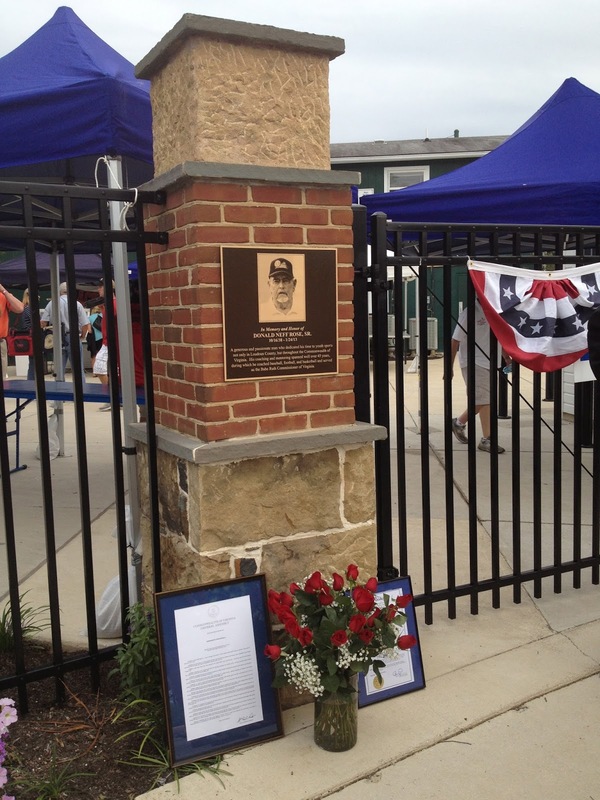 Last evening at the Babe Ruth World Series we joined together with Don's family and friends to honor Don's life. Presentations were made to his family by Supervisor Janet Clarke, Delegate Randy Minchew and representatives of the Babe Ruth organization. When Purcellville hosted its first Babe Ruth World Series in 1998 it was held in a renovated Fireman's Field baseball field and stadium. It was Don, his family and many community volunteers who helped construct that field. 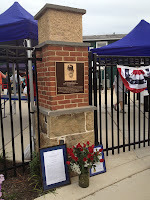 To honor Don the Town dedicated a permanent plaque on one of the entrance columns in the plaza area we constructed. Don will have a special place to oversee the community, field and sport he loved so much. Purcellville is a better place because of Don. If he were there last night he would have eschewed the spotlight preferring to focus on getting the field ready for the next game.